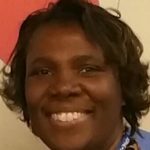 Sharon discovered the field of health education while pursuing her lifelong goal of obtaining a graduate degree. Originally, she thought about becoming a personal trainer since she was trying to improve her diet and find more time to exercise. While searching the graduate catalogue, she discovered the community health education program which captured her interest. At first, she was apprehensive but during her studies she realized that she had found her second career! She’s excited to be involved in health education and she is always looking for ways to share what she’s learned. She writes monthly articles in “For Your Health . . .,” a block club newsletter and serves as an advocate to her local government on neighborhood and community issues. Sharon feels empowered to speak on issues related to health education/promotion in her community. She knows the field is growing and looks forward to continuing to learn and grow with it. Serving in the health education field is a great career choice, it’s both challenging and rewarding. Of the seven areas of responsibility, Sharon uses Area V, specifically managing financial resources for health education/promotion programs. In her daily work as a research assistant/division administrator at Wayne State University, she manages research budgets for cancer epidemiologists and oversees pre- and post-award administration of federal, state, and foundation grants, ensuring that funders’ guidelines are followed. Sharon was excited to complete her degree in health education and pass the CHES® exam. She’s looking forward to being active in national SOPHE as a member of the communications committee and a Michigan GLC-SOPHE Chapter member. Sharon enjoys the variety in the field of health education. She considers health education specialists as change agents for public health — working in various settings and positions all toward the common goal of promoting health and preventing disease. Sharon finds the work health education specialists do is fulfilling because of the positive influence on the health and health behaviors of individuals and communities. Prior to this work, Sharon’s career includes 10 years in human resources and 20 years in research administration. She’s active in her community serving her church and participating in food and clothing drives and distributing those items to the community. Her hobbies include exercising (Zumba and yoga), traveling, reading, and spending time with family.